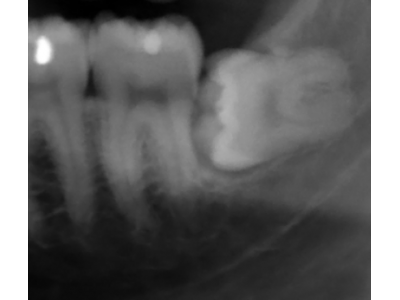 The third morals, more commonly known as wisdom teeth, are known to cause problems for many people. These teeth often cause serious pain and even potentially perilous dental complications. Because of the potential for danger, most dental experts strongly recommend having your wisdom teeth extracted even if they aren’t causing any problems. If you allow your wisdom teeth to remain impacted, you could experience damage to nearby teeth, gum disease, tooth decay, nerve damage, and even cysts. In this post we will go over a few warning signs that your wisdom teeth may be impacted. Jaw pain can be indicative of many problems, but if you have not had your wisdom teeth removed and you’re feeling pain through your jaw and into your skull that gets more intense while chewing, it likely means your wisdom teeth are impacted. The pain in the jaw could cause swelling of the whole jaw area. Swelling may be a sign of a very serious impaction, as the tooth could be creating an infection or nerve damage. Impacted wisdom teeth can cause your dental health in general to decline. Typically jaw and tooth pain will spread throughout the mouth, including gums. Bleeding or sore gums, especially in the back of the mouth, is a strong indication that there is a major problem with your wisdom teeth. Bacteria will often become trapped in folds of the teeth and gums. These bacteria have a tendency to grow quickly in dark, damp areas. The infection the bacteria may cause could lead to decay and even cysts. If you have tooth decay, you’ll have a rotten taste in your mouth and noticeably foul breath. At Halonen Family Dentistry, we are all about prevention. It is so important to have your teeth examined regularly, and if you feel like something is off, don’t hesitate to make an appointment with your dentist, as waiting too long can mean irreversible damage. If you have been looking for a trusted and experienced dentist in Battle Creek who know about emergency dental care, call and set up an appointment today!